I never thought I’d say this but I’m so impressed with this little makeup set from Strictly. 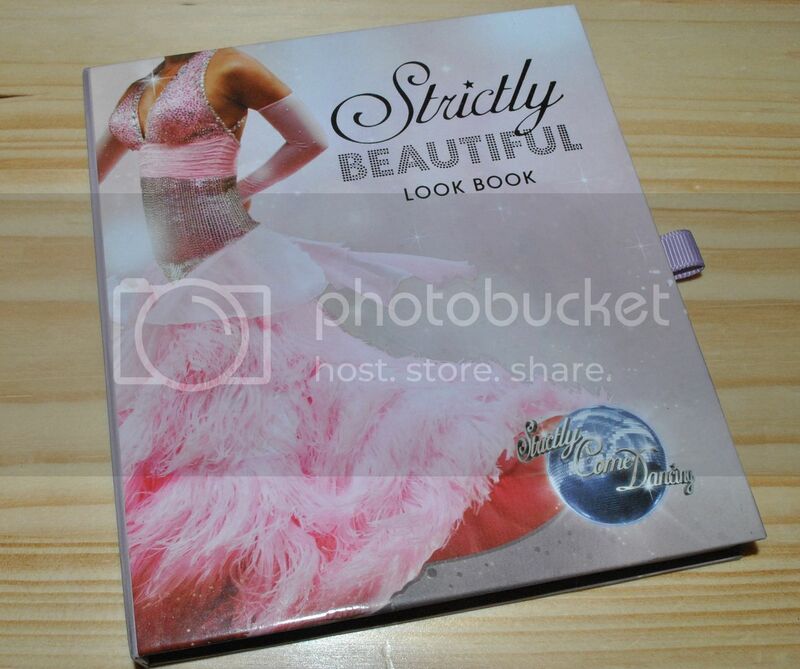 Strictly have brought out a whole range of makeup palettes – this one is the Beautiful Look Book ‘For the belle of the ballroom!’. 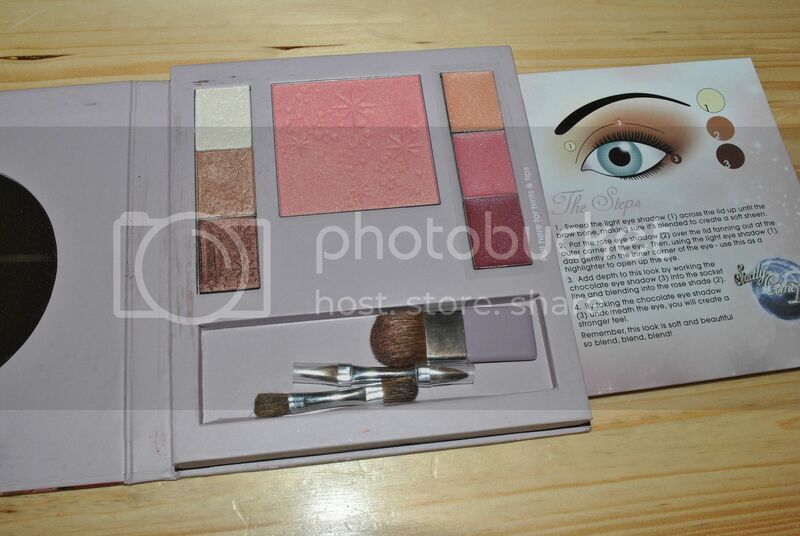 The palette contains 3 Eye Shadows in Soft Gold, Berry Rose and Chocolate Brown, 3 Lip Glosses and a Blush. Plus a pull out ‘How To’ for help with creating the look. I have been using this quite a lot recently as I completely adore the eye colours – gorgeous goldy bronzey shades that blend beautifully for a soft, smouldering smoky eye. I am not the best at makeup (!) but I have absolutely loved wearing these shades. 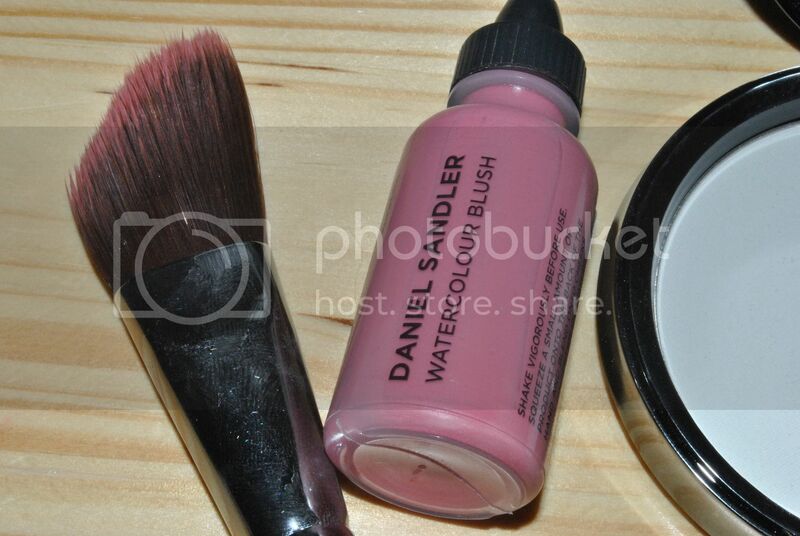 The blusher is another fave. 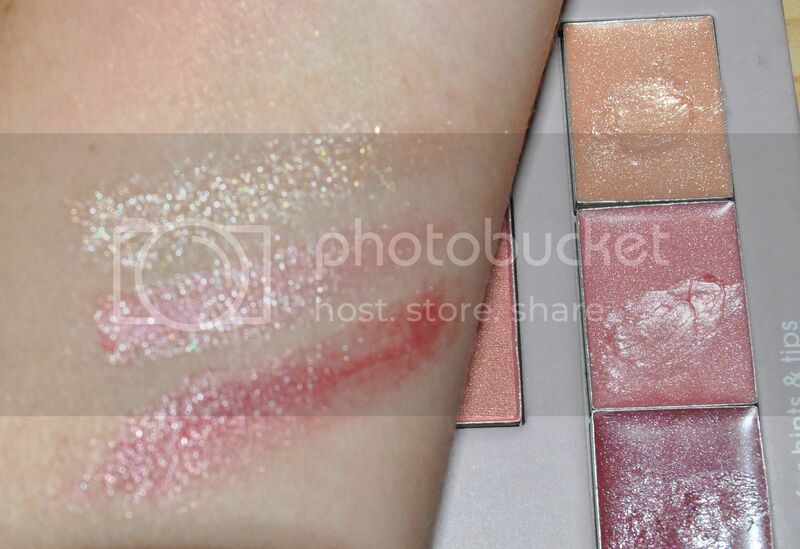 It has amazing gold tones in it that give you that soft airbrushed glow and beautifully highlight the cheekbones. I haven’t really used the glosses yet because I can’t put down my Daniel Sandler Super Gloss in ‘Super Bare, but here they are swatched and they look very pretty indeed. This would be the perfect palette to take travelling with you, to save you from carrying tonnes of different products and I promise it won’t leave you looking like one of the over made up BBC dancers! It costs just £10 and is available exclusively from Boots, along with a fully comprehensive range, with prices rising to £40 for the Strictly Fab-u-lous Illuminating Cosmetics Case. I am thinking Christmas! It’s included in the 3 for 2s at Boots right now too. Last week I popped over to Rigby & Peller’s fabulous Kings Road store to meet the brand’s creator, and all round inspirational woman, June Kenton. Rigby & Peller started in 1970 with its very first store in Croydon, and has for a long time been a leader in luxury well fitting underwear and more specifically mastectomy bras. In fact, care for mastectomy customers was the focus of my conversation with Mrs Kenton, who herself survived breast cancer and was inspired to create a range for fellow survivors. June had some very strong advice for these women, and she felt it was extremely important to communicate it. 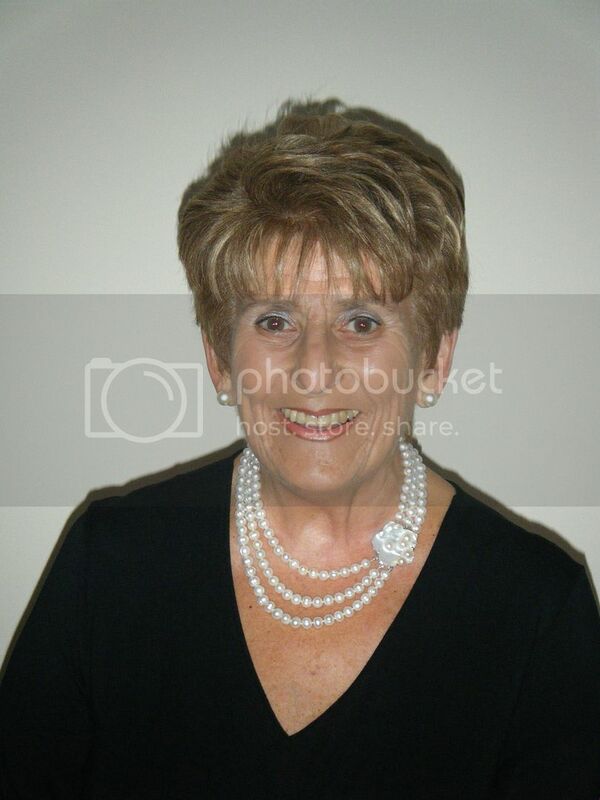 It was amazing speaking to Mrs Kenton. She is such a fabulously positive person whose words and advice, I believe, could definitely ease the suffering of mastectomy patients. She assured me that every Rigby & Peller bra fitter is expert at dealing with mastectomy and lumpectomy cases. For more information on this, please go to Rigby & Peller’s Mastectomy Advice Centre here. 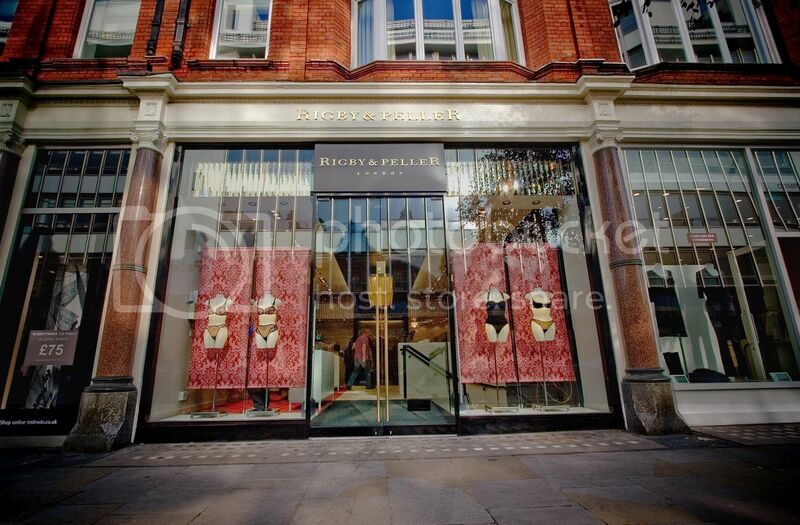 And for those of us lucky enough not to have suffered with breast cancer, Rigby & Peller provides the most amazing fitting and bra selection service ever!!! I had an in-depth consultation and fitting, and walked away with THE most beautiful and comfortable set! Unfortunately, that isn’t me in the photo…clearly!! To support Octobers Breast Cancer Awareness Month, Rigby & Peller is calling on women across the UK to recycle their old bras in support of Breast Cancer Care. Until 31st October 2011, for every bra that you recycle you receive £10 off per bra that you purchase from the extensive range including the stunning new Autumn / Winter 2011 collection and mastectomy range. To help support Breast Cancer Care, visit one of the seven Rigby & Peller stores with your old bras to receive £10 towards any new bra purchase. Visit www.rigbyandpeller.com for more information and store locations. 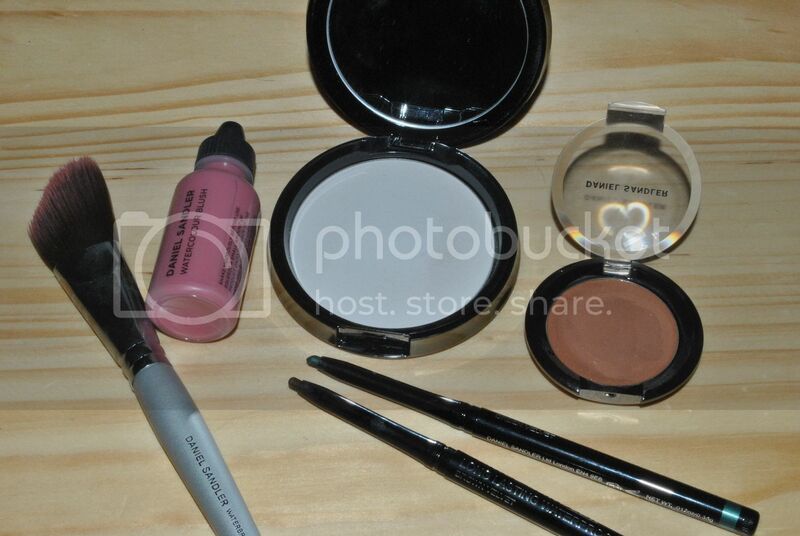 Max Factor and My-Wardrobe Exclusive! Here is some lovely beauty and fashion news for you, all in one!! Max Factor and My-Wardrobe have come up with the most fabulous idea. For seven days only starting on Tuesday 25th October, Max Factor’s gorgeous Colour Elixir Lipsticks, as used by Pat McGrath at the AW11 Gucci show, will be given away with selected AW/11 dresses at www.my-wardrobe.com. These lipsticks are a personal favourite of mine and I have quite a few of them in my makeup collection! They are super moisturising, thanks to their 60% ‘Elixir’ treatment which consists of shea, avocado, aloe butters and anti-oxidant white tea. The lipstick is really easy to apply, it glides on, covers and perfects any dryness, and has brilliant pigment. This is a previous lippie diary I made using Max Factor’s Colour Elixir! The Colour Elixir lipstick you receive has been perfectly matched to the style and trend palette of your chosen my-wardrobe dress by Max Factor’s official Makeup Artist, the amazing Caroline Barnes. In case I haven’ told you before, I completely love her!!! Caroline will also be offering bespoke lip beauty tips and can be seen discussing AW/11 trends and how to rock the best lip in town exclusively on www.facebook.com/maxfactoruk and www.my-wardrobe.com from 25th October 2011. Throughout the 7 day exclusive, all dresses within three super-stylish and diverse my-wardrobe trends – Modern Fetish, Love Story and Come Fly With Me – will be gifted with a Colour Elixir. This season is all about lipstick but with Colour Elixir, you don’t have to compromise the moisturised feeling you get from gloss. With this collaboration you’ll be getting free lippie and free expert advice!! I haven’t had any Jo Malone for a long time and this, I have to say, is a gorgeous welcome back to the range with the Red Roses Body & Hand Wash. This super soft and gentle gel smells absolutely beautiful – roses and violet leaves and lemons – and it cleanses my skin to perfection. I have found a new favourite!! I’m completely in love with Rodial’s new glam balm lip!! 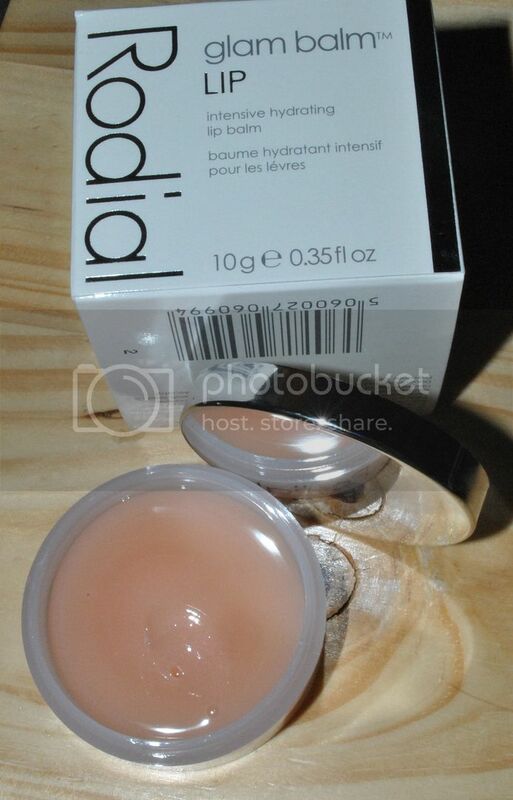 It feels amazing (it’s an intensive lip balm) and looks gorgeous (super glossy and slightly peachy!). Glam balm lip is designed to hydrate, smooth and protect the lips. It uses Shea Butter, Vitamin E, Hyaluronic Filling Spheres (exciting) and Rose Wax to plump the lips. And it comes in a super cute handbag friendly pot! It costs £19, you can buy online, or check out stockists here. The new additions to the glam balm range also include glam balm hand and glam balm multi (both £49). Before I start, apologies for the super cheesy title. I couldn’t help it! Anyway, I have had a major new discovery that I wanted to share with you. Well it’s major for me anyway!! It’s called Flo and it’s the answer to all my fragrance worries. Simple but super effective, it’s a cute little fragrance atomiser with an integral filling mechanism and a flexible rubber nozzle which means it can fit on to any perfume bottle. And it’s perfect if you flit between different perfumes like I do because it holds enough for about 50 sprays. Just about the right amount before you want to alternate to another favourite in your collection. 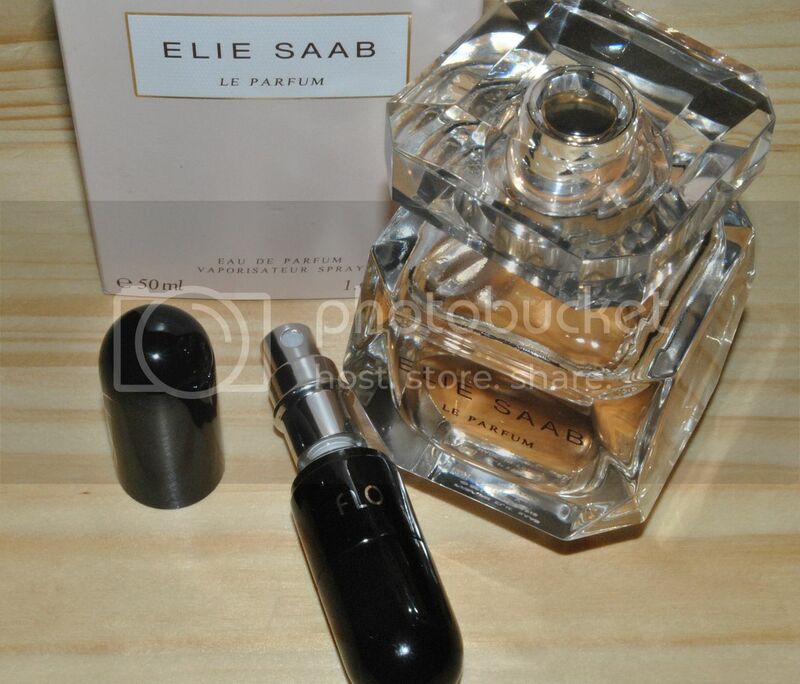 Right now I have Elie Saab Le Parfum in it, which I absolutely adore at the moment. It’s a wonderful fragrance that I keep getting tons of compliments on, and it’s packed with orange blossom, jasmine, cedar wood & rose honey. Gorgeous!! I love my little Flo because its internal cannister is made of glass which means Elie Saab stays smelling exactly like Elie Saab. Always important!! It’s easy to wash for when you want to switch too. The best thing about it is that it fits easily into my bag, a perfect size if you’re carrying a clutch, and it doesn’t have to compete for space with all my other important essentials (makeup, makeup and makeup!). Also, because I rush around like crazy all the time, I often forget to spray my perfume, remember when it’s too late and then am completely gutted! Now I just know it’s in my bag. Flo is from a cool range called Beauty Heroes, it’s available from Boots for £9.99 and comes in black, silver or pink. Prices for Elie Saab Le Parfum start at £38 and it’s available nationwide at all leading department stores. There are some Christmas ideas for you!! Too soon?? Last week I had a delightful lunch date with lovely makeup artist Daniel Sandler. We had great food and chats and then he pulled out a little goody bag for me stuffed full of gorgeous makeup. Exciting!! He gave me a quick masterclass in contouring and shading, much to my delight and the amusement of the other diners, and then I skipped home excited to try everything out for myself. After applying my base (I used Boots 17 BB cream – “All In One Magic Makeup” £6.99 available from 2nd November 2011, and great for my skin which is a little dry at the moment) I used the gorgeous Watercolour Creme Bronzer, £17.50, (pictured below right) to contour under my cheekbones and add warmth to my forehead and chin (just a touch). 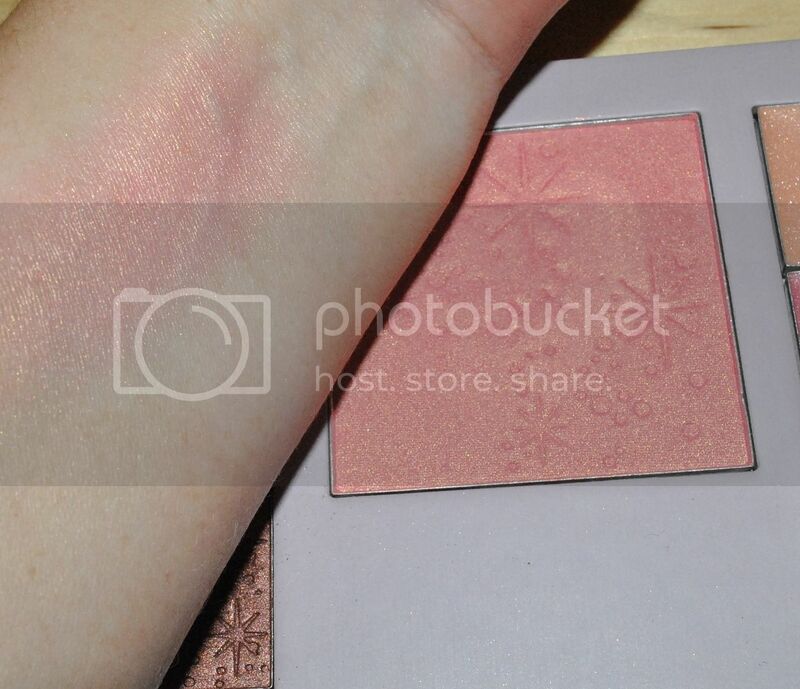 I then used the amazing Watercolour Blush in ‘So Pretty‘ £14.50, to add a flush of colour to my cheeks. You just pop a couple of drops onto the Water Brush, £14.50 and sweep it on. It looks scarily pink when it comes out, but blends beautifully. 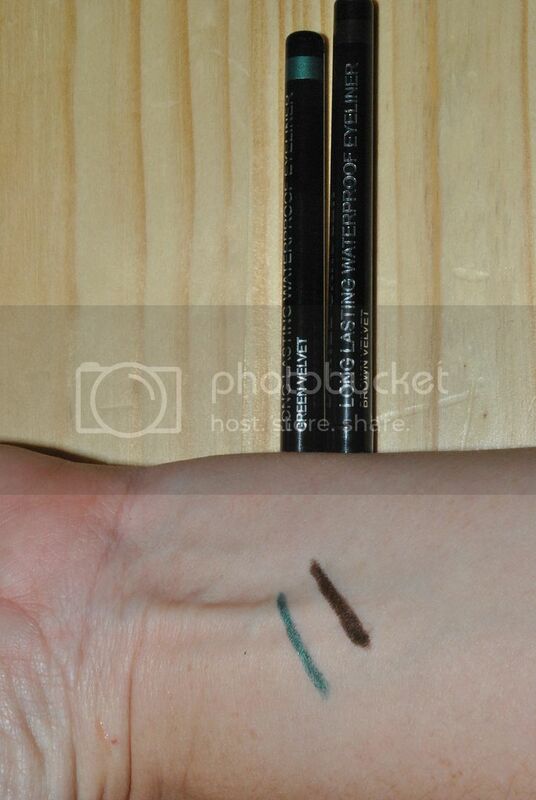 On my eyes I used the Long Lasting Velvet Waterproof liners – Green along my top lashes and brown in the waterline and along my bottom lashes. It didn’t budge all night. I coated my lashes with Bourjois’ Volume Fast and Perfect Mascara. And I have to say, I am so in love with this Super Gloss in ‘Super Bare’, £11.25. It is the perfect shade for Autumn and makes my lips feel great and look luscious. I met up with Jane Cunningham AKA British Beauty Blogger, and she complimented me on it straight away. It’s beautiful. I am just ever so slightly obsessed with these new treasures right now so expect to see them on my face again!! 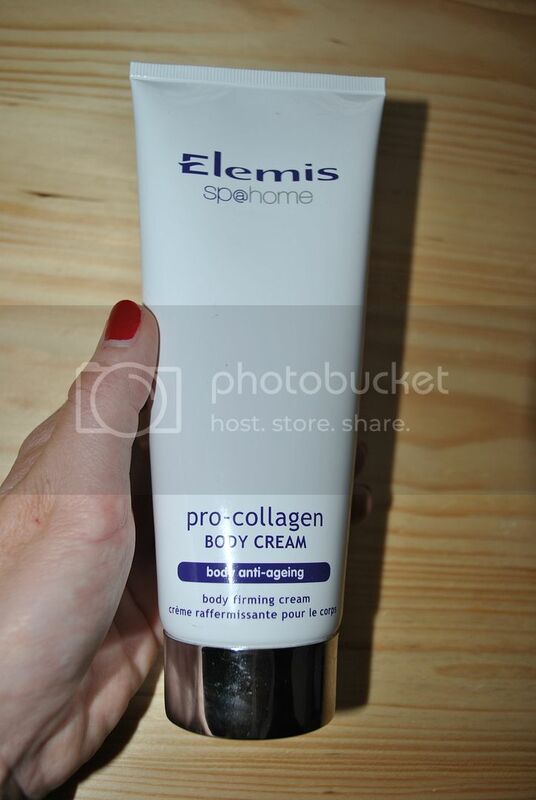 Elemis Pro Collagen Body Cream – It’s love! 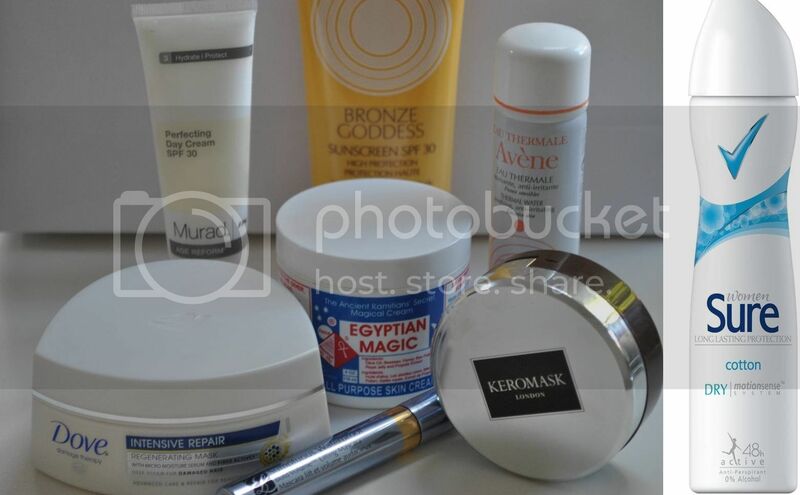 I am a moisturising addict! I can’t last longer than a minute after showering without having to slap on the moisturiser because my skin tends to feel tight, dry and uncomfortable, so I rush to cover myself in gallons of the stuff. For this reason, I have always steered clear of the more premium brands when it comes to body moisturiser, for fear of having to re-mortgage my house just to feed my habit. Until now!! I have discovered Elemis Pro Collagen Body Cream and it’s absolutely gorgeous!!! I love it!! It smells beautiful, it feels amazing and my skin looks absolutely beautiful afterwards. It adds a brilliant luminosity to the skin and it feels smooth, soft and even looks quite plumped up. I have only been using it for a week, so it’s difficult to really judge its firming power but I have to say, I am very impressed so far. The biggest bonus is that, because it is so luxuriously thick and creamy, you really don’t need a lot, so my fear of going through the stuff at 100 miles an hour is thoroughly put to rest. My skins feels moisturised all day long and even isn’t as dry after I get out of the shower. I’m obsessed with anti-ageing for my face and now I can let the rest of me see a piece of the action!! Launched in September 2011, this is Elemis’ latest addition to their anti-ageing bodycare and I am welcoming it with open (super moisturised and hydrated) arms!! It contains “a trio of exotic oils Babassu, Castanha andBilberry Seed Oil with marine algae Padina Pavonica and Elemis’ ground-breaking Micro-Lattice Technology. Harnessing the power of Laminaria Brown Seaweed, it creates a ‘body stocking’ effect on the skin”. It really is my new best friend – especially as we get ready for the big chill. It costs £49 for 200mls and your skin will thank you for every penny of it!! With this heatwave we’ve been experiencing this week, my beauty regime is not quite how I expected it to be in October, so I thought I would share with you some of the products keeping me in tip top condition in the heat! First off I have to take my hat off to Sure’s MotionSense Deodorant. It is super effective and has looked after me very well in the past few sweltering days in London. I have been dashing aroung like a mad thing and this little beauty has kept me super fresh, in spite of the fact that I have literally been melting everywhere I’ve been. That is £2.86 for 150ml aerosol from practically everywhere! Apologies for its weird presence in the pic – I forgot to include it in my photo. Whoops! My second hero is my Murad Perfecting Day Cream SPF 30este. It is part of the brands Age Reform collection so looks after my wrinkles whilst preventing sunburn. It also has UVA protection to ensure I’m protected from those nasty ageing rays too! 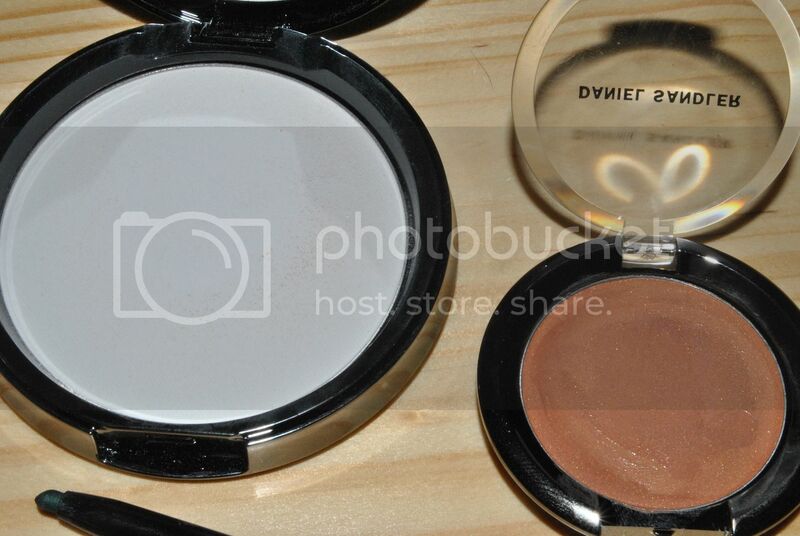 It creates a lovely base for makeup. Next up is My Estee Lauder Bronze Goddess SPF 30. The second the sun comes out, this comes out. This Indian Summer isn’t going to catch me on the hop! It smells delicious, feels great and takes me straight back to my Summer hols. Lovely. Hair gets a bit drier in the heat so I gave myself a treatment with Dove’s Intensive Repair Regenerating Mask. It’s an absolutely gorgeous treatment – a super whippy mousse textured cream that you leave on for 3-5 minutes. It leaves my hair feeling silky and refreshed. For any shine attacks I’ve used my Keromask Mineral Rich Finshing Powder. It softly mattifies skin without sitting in the lines and keeps my makeup in tip top shape. It actually comes in solid form and you grind it when you want to use it, so it’s always fresh. I’ve swapped to my waterproof mascara from Estee Lauder – Sumptuous Waterproof Bold Volume Lifting Mascara. It doesn’t shift at all, and even survives the gym. For dry lips, dry skin and any other skin problems, I’ve been using Egytian Magic, a new little discovery, and reportedly a celeb favourite with fans including Gisele, Eva Mendes, Kate Hudson and Madonna! !It’s an all-purpose product and can pretty much solve all beauty issues. And if you’ve happened to get a little burnt, this will soothe and heal. You can read my Youtube review on this here. Finally, for when I have felt like I am about to totally melt in the heat, I have turned to the absolute treasure that it Avene’s Thermal Water Spray, which you can spritz on any time, any place, to instantly refresh you. I even take it to the gym. You may have noticed that I mentioned the gym twice? Yes I have joined again. You’ll probably be hearing about that soon! Last week I went to a really special product launch. 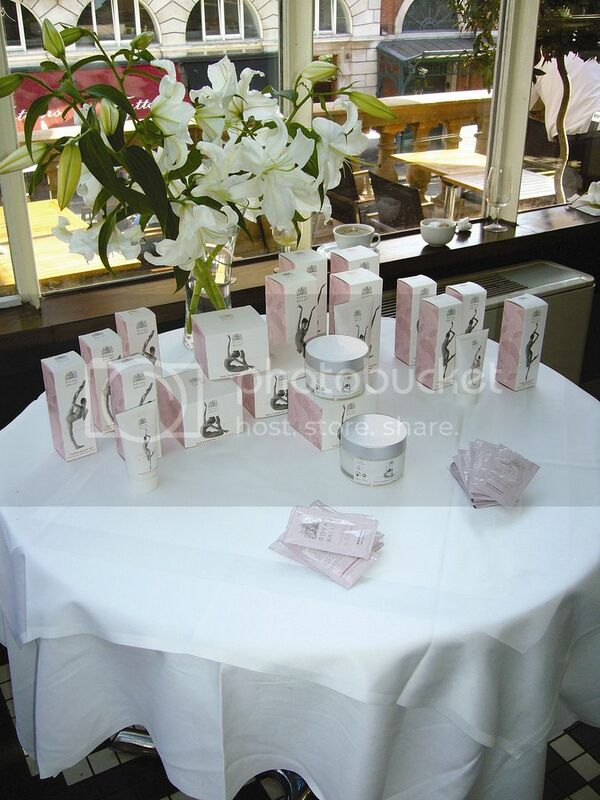 It involved ballets dancers, the Royal Opera House and some gorgeous products from Berkeley Square. 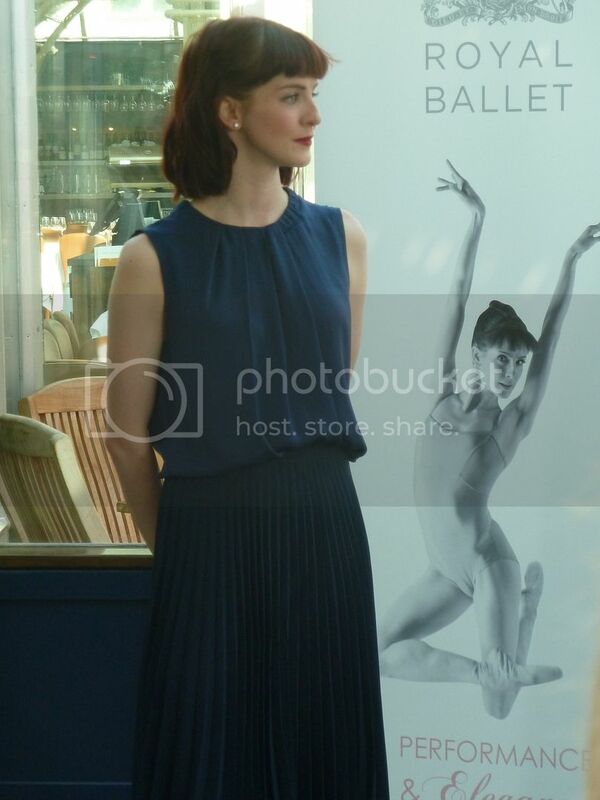 It was such a brilliant trip and I had the pleasure of meeting Royal Ballet dancer Olivia Cowley, who worked with Berkeley Square to develop the high performance bodycare range and also appears on the beautiful packaging of the products. Olivia has performed in the Nutcracker, The Sleeping Beauty and Cinderella. Very exciting! Amazingly, we actually got to see Olivia in action, along with many other super fit female and male dancers (quite a thrill!) when we were given a wonderful tour of The Royal Opera House. Such a brilliant experience. The Royal Ballet Berkeley Square collaboration presents a range of targeted products designed to meet the needs of hard working performers and also the normal stresses and strains that everyday life inflicts on our bodies. It’s a gorgeous range that includes an Intensive Hand & Foot Cream (£14) a Cooling Muscle Gel (£13), a soothing and Relaxing Bath & Shower Cream (£12) and a Body Conditioner (£18). Key ingredients include Vitamin E, Arnica, natural menthol, seaweed extract and Aloe Vera to aid the repair of skin and muscle tissues. The hero product is the rich and intense Body Conditioner which contains Dermochlorella. Rich in green micro algae proteins and amino acids, these combined natural ingredients improve the firmness, tone and elasticity of the skin which also assist in combating unwanted cellulite and stretch marks. Both the body conditioner and the foot cream have passed 24hour independent moisturising tests, so they are sure to pack a real punch. I have to say I’m already a fan of Berkeley Square, with their Natural Couture White Bergamot fragrance being one of my fave summer scents, so I’ll definitely be using this after my gym sessions. I’m still working on that ballet body!